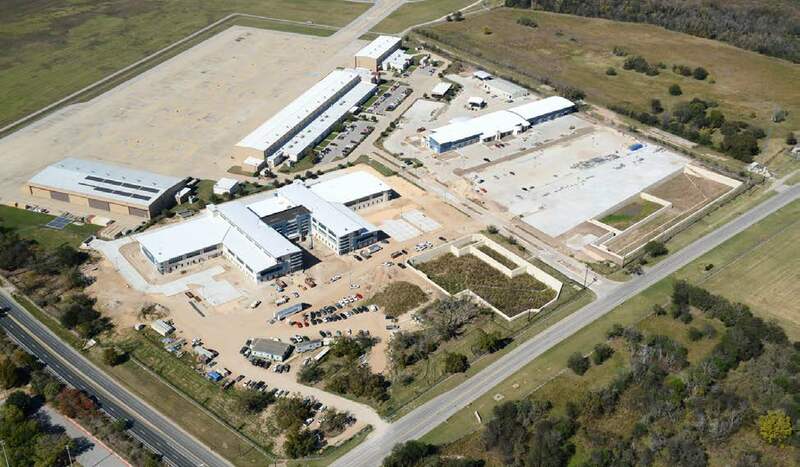 This project represents the final phase of a 60 acre master-planned military complex on leased land at the Austin-Bergstrom International Airport which when completed will consist of over 425,000 square feet of built structures totaling 65 million dollars in overall construction. 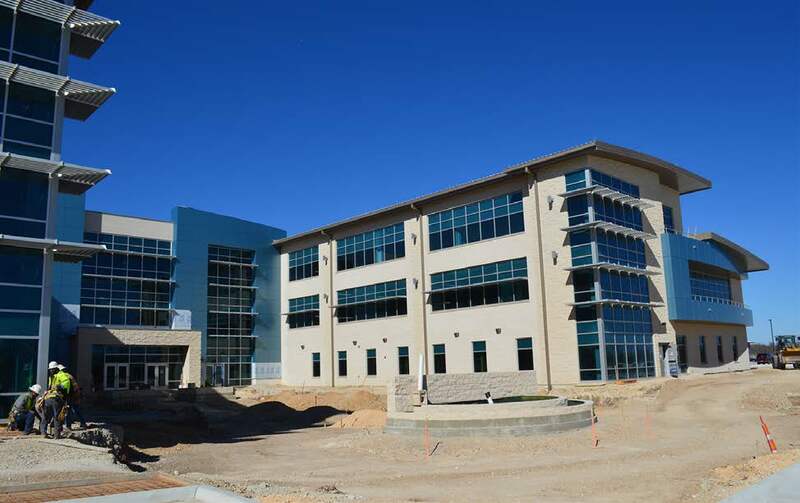 The Armed Forces Guard & Reserve Center (AFRC) is a 209,128 sf facility designed to meet the administrative and operational needs of multiple Texas Army National Guard, the U.S. Army Reserve & the U.S. Marine Corps Reserve Units. The Reserve Center building consists of unit storage areas, an assembly hall, administrative offices, medical sections and educational multifunction class rooms. The Joint Vehicle Maintenance Facility (JVMF) is a 45,535 sf facility designed to support and maintain the military vehicles attached to the individual Texas Army National Guard, U.S. Army Reserve & U.S. Marine Corps Reserve Units operating out of the adjacent Armed Forces Reserve Center. The Joint Vehicle Maintenance Facility is comprised of vehicle maintenance bays, tool & part storage areas, repair shops, educational class rooms and administrative offices. In addition the facility includes a 7,875 sf Unheated Storage Building (UHMSB), subsidiary flammable & hazardous material containment areas and vehicle lube and inspection ramps. The surrounding site contains 165,492 sf of Organizational Parking for military vehicles and parking for Privately Owned Vehicles.